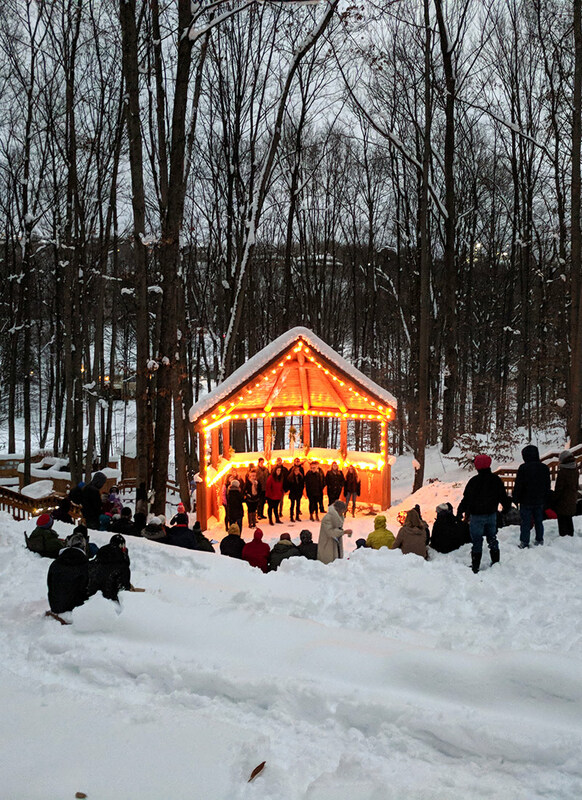 Winter Sounds is a family-friendly celebration of the season, with hot cocoa, a warm bonfire, magical winter hike through the woods, and an inspiring half-hour outdoor performance from Benzie Central High School Chamber Choir. Dress for cold weather—don’t forget hats, gloves, thermals and scarves. Bring warm blankets or camp chairs to sit on. Cuddling encouraged. Help us save waste! 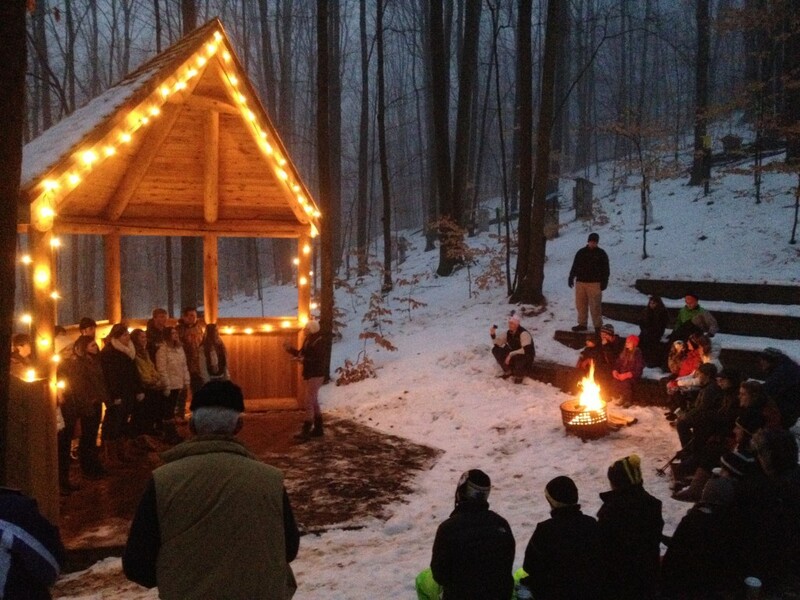 Bring your own travel mugs or Thermos for your hot cocoa. Dogs on leashes are welcome to enjoy the concert too. Feel free to bring your own hot beverages and snacks. Sharing is always nice. Portable restroom available at the trailhead. Due to snowy conditions, we apologize that our trails are not ADA accessible for this event. Limited parking is available at the Art Park entrance and trailhead with additional parking on Mountain Woods Drive, adjacent to the park.